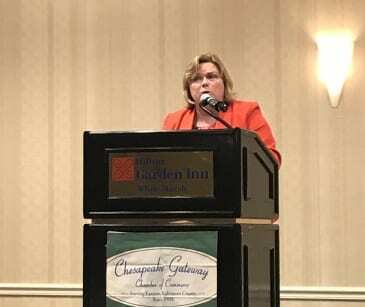 Councilwoman Cathy Bevins exalted the success of small and local businesses in the Sixth Council District at the Chesapeake Gateway Chamber of Commerce Membership Luncheon on Wednesday. While addressing members of the chamber, Councilwoman Bevins spoke about the importance of local businesses and the Council’s efforts to support those businesses. Councilwoman Bevins also spoke about the success of Greenleigh at Crossroads along Route 43. “2017 was a great year for Route 43 and Greenleigh and 2018 will be an even better year. Last night the Council passed Resolution 18-18 enabling Stanley Black & Decker to bring 600 high paying jobs Greenleigh. Black & Decker will be lease an entire 92,000 square foot office building as part of the expansion of their global headquarters. Michaels Café will be opening a second location at Greenleigh in the coming year, this will coincide nicely with the opening of the new luxury hotel and the rest of the build out. When completed Greenleigh will be home to 10,000 jobs and many new residents providing a great consumer base for Eastern Baltimore County businesses,” said the Councilwoman. Since being elected, Councilwoman Bevins has worked alongside the Chesapeake Gateway Chamber of Commerce and local businesses to bring more jobs to the Sixth District and Eastern Baltimore County. 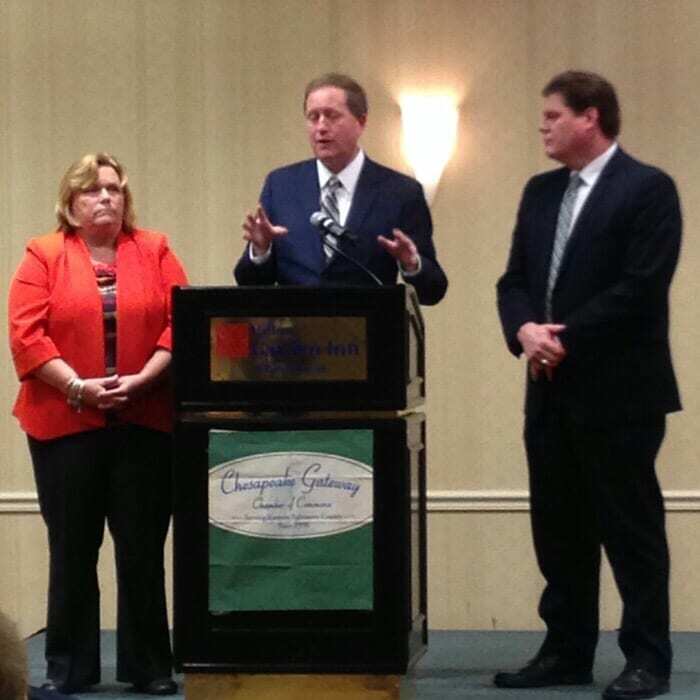 Also present this afternoon were Fifth District Councilman David Marks and Seventh District Councilman Todd Crandell.